Whatever you want to decorate with!! 1. 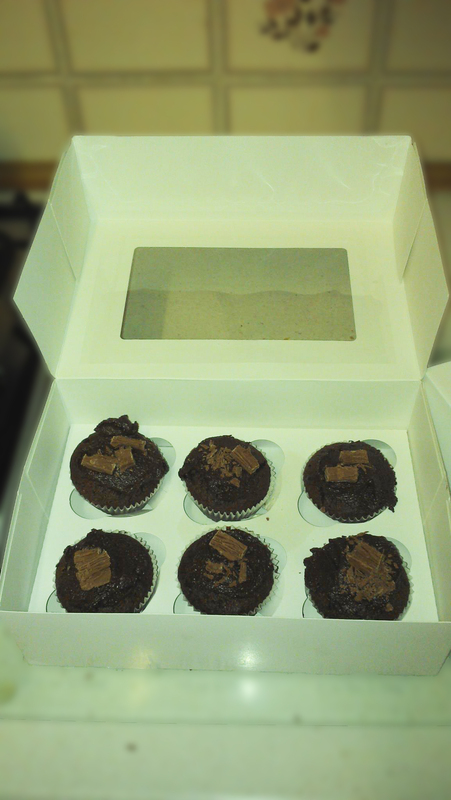 Preheat the oven to 180C (160C for fan assisted ovens) and add cupcake cases to your baking tray (the above recipe made 24 for me). 2. Sift the flour, baking powder and cocoa powder as high as you can into a large mixing bowl. Add the butter, eggs and vanilla essence, and mix together thoroughly. I used an electric whisk. Slow for 1 minute, then full speed for a further 2 minutes. 3. 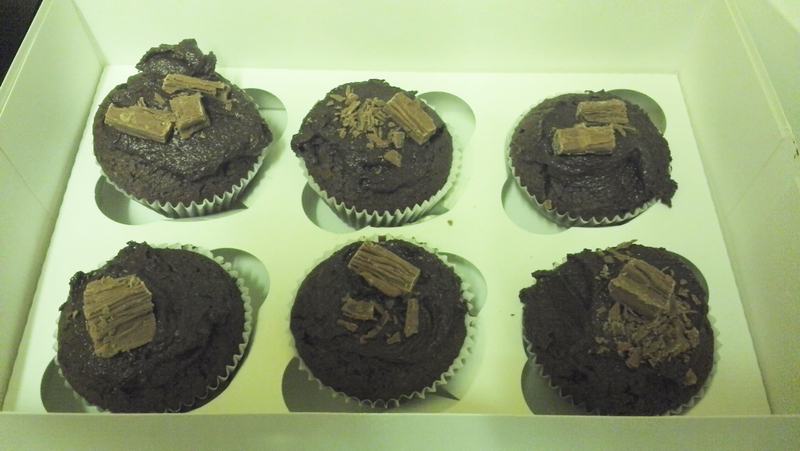 Divide the mixture equally in to your cupcake cases, and bake in the middle of the oven for a minimum of 15 minutes. **Note – 15 minutes is the minimum time. Test your cupcakes with a skewer at this point. If the skewer comes out with the sticky mixture stuck to it, you need a further 10 minutes. This may need repeating. I have found that some times my cupcakes can be done in 15 minutes, other times in 35 minutes… Same temperature oven… Weird, huh? 4. 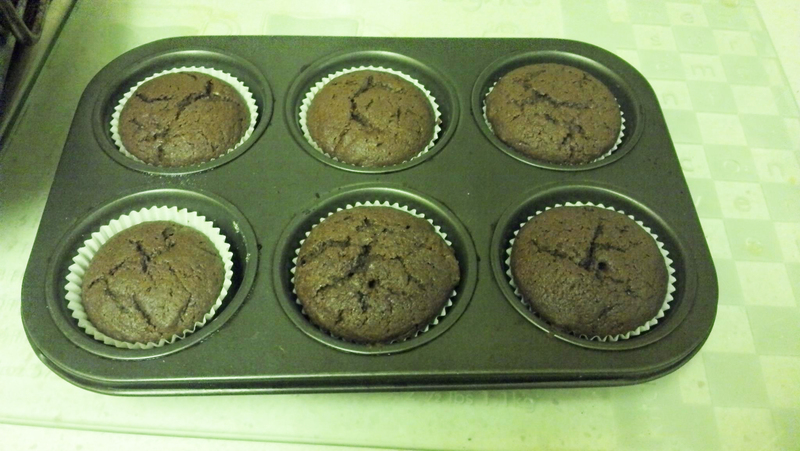 Once done, remove from the oven, but do not remove your cupcakes from the tray until completely cool. 1. Using the back of a wooden spoon, cream your butter in a mixing bowl. 2. Gradually add the icing sugar and cocoa powder, bit by bit, mixing thoroughly with the back of the wooden spoon. Add some of the milk IF you need it. 3. When fully creamed together, spread on top of the (cooled down) cupcakes. I originally wanted to create chocolate ‘nests’ with the frosting, and then to place two chocolate mini eggs in the middle for Easter, however the shop at the bottom of my road doesn’t sell mini eggs (boooo! ), so I decided to decorate with a little Cadbury’s Flake instead. I think it still has a wonderful effect. Enjoy! We love these cup cakes!